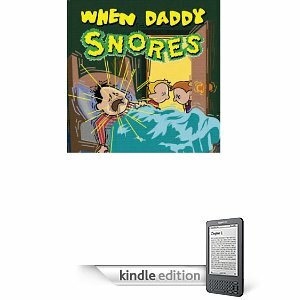 When Daddy Snores is an adorable book about 2 kids whose Daddy works late at night and comes home early in the morning. When daddy falls asleep they hear an awful noise and wonder what it might be! From airplanes to dragons to lions fast asleep they imagine it's so many things. Only to find out its Daddy! My girls loves this book as their Daddy also snores and we sometimes wonder what that strange noise is! Use Your Imagination Press has offered ONE lucky Party of 5 reader a copy of their very own!